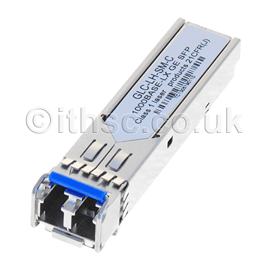 The hot-swappable element allows you to change transceiver modules, without the need to turn off the power to your device; for example you could change to a Cisco transceiver module with a different optical wavelength, or from one which supports copper wire to support for optical fiber if required. Transceiver modules support different data rates, from 100Base (100 Mbit/s), up to the most recent 100GBase (100 Gbit/s). 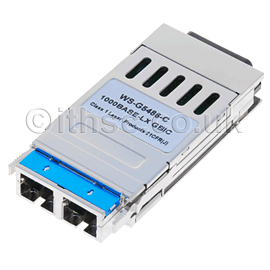 Transceiver modules are also available for different types of cabling such as cat 5 copper, and different grades of optical fibers. For more information on transceiver modules please see our FAQ.